Tonight I was feeling a bit too tired to sew but I wanted to do something other than watch TV. I am not much of a fan of night time TV. Realizing that my supply of notecards was running low, I decided on stitching up some envelopes and coordinating note cards. It's a quick, fun project and doesn't require a whole lot of brains. I'm running low on brains tonight! All this project requires is some pretty printed cardstock and some equally pretty scrapbook paper, some glue and a sewing machine. I got 3 huge pads of paper (Craftsmith) at Michael's right after Valentine's Day. I paid very little because it was on clearance. The first step is to determine the notecard size. This batch is the size of a small thank you card or invitation sized. Measure the card stock to be twice the size intended for the notecard (because it will be folded in half), lightly trace (or you could use Cricut) and cut out the notecard. Fold in half. DONE. To determine the size of the envelope, we need to keep in mind that there will be a seam allowance. 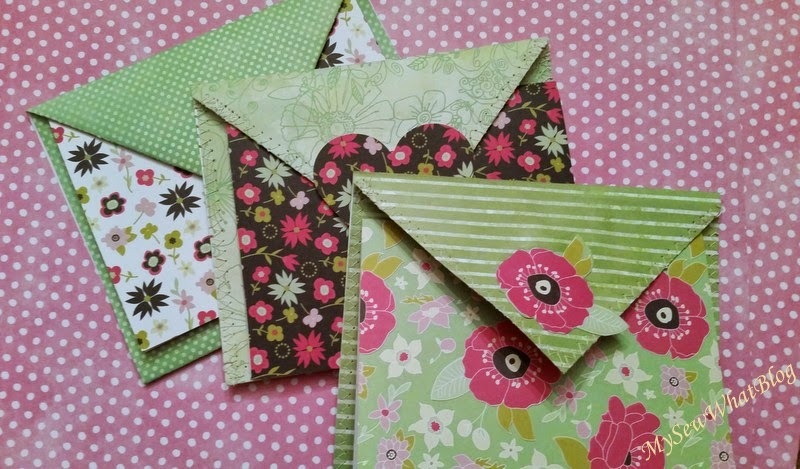 Depending on the size of the zigzag stitch, you should add at least 1/4 inch to the width and length of the envelope. 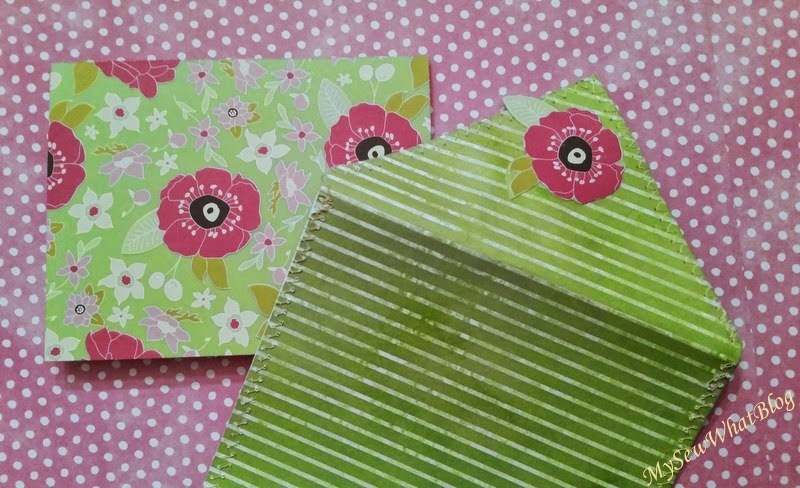 We do want the notecards to fit in the envelopes once they are stitched! Cut the enveople in a vertical rectangle about double the height of the card plus an additional 2 3/4 inches. The top 2 3/4" is folded into a triangle. 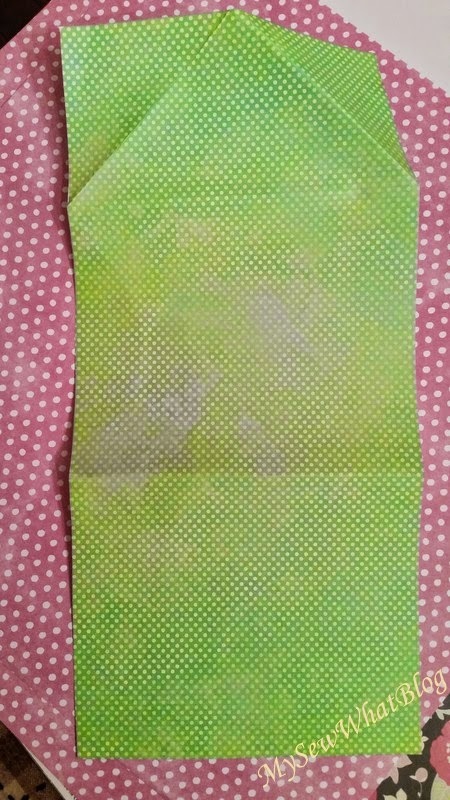 The rest is folded in half. I love the look of mismatched but coordinating prints. 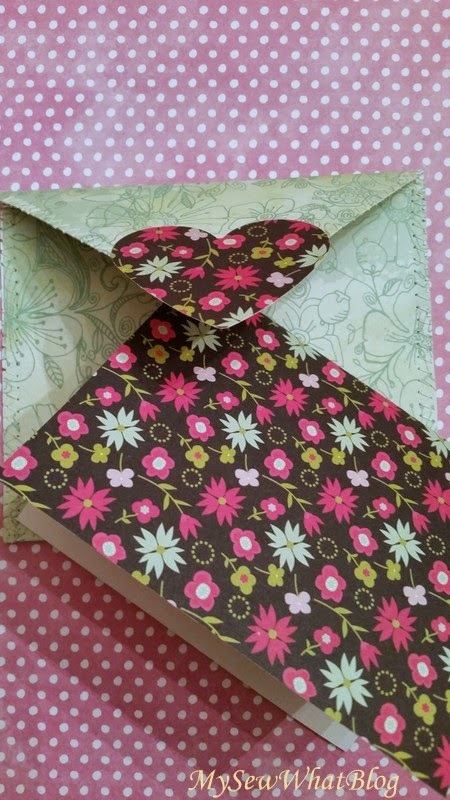 Once you have the envelope folded, head on over to your sewing machine and stitch up the sides. I even stitch on the fold....so begin on one side and stitch the side, the bottom, and the last side in one continuous swoop! Then flip over and stitch around the two folds of the triangle. Be creative! 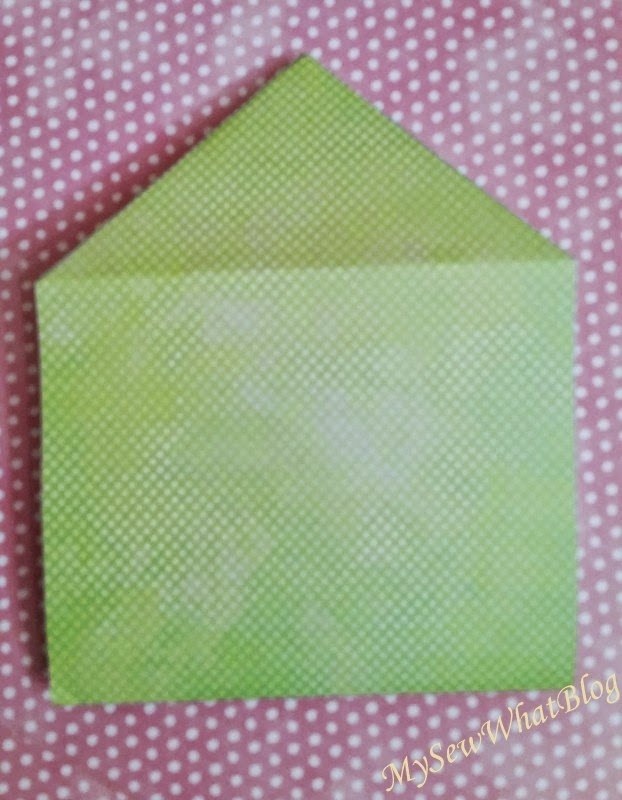 It's fun to add a bit of the notecard paper to the envelope. Here I punched a heart from the black print and attached the top part of the heart to the envelope. Here's a closeup so you can see the stitching. 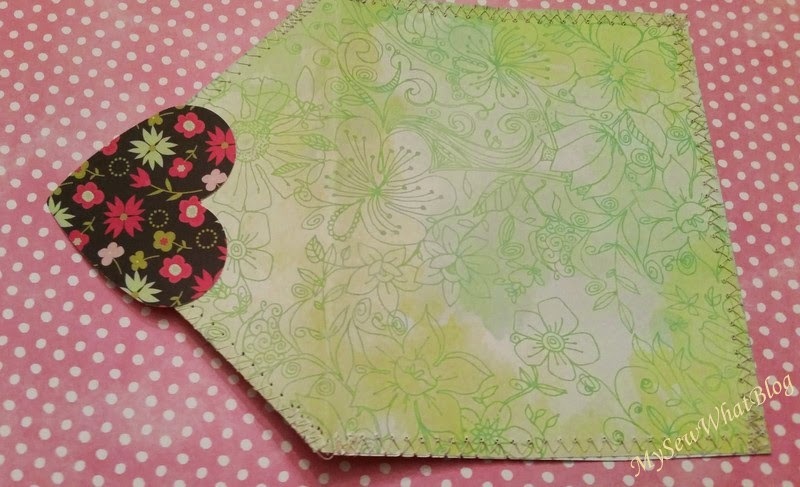 Be sure to backstitch at beginning and end so the envelope stays sewn. Trim loose threads. 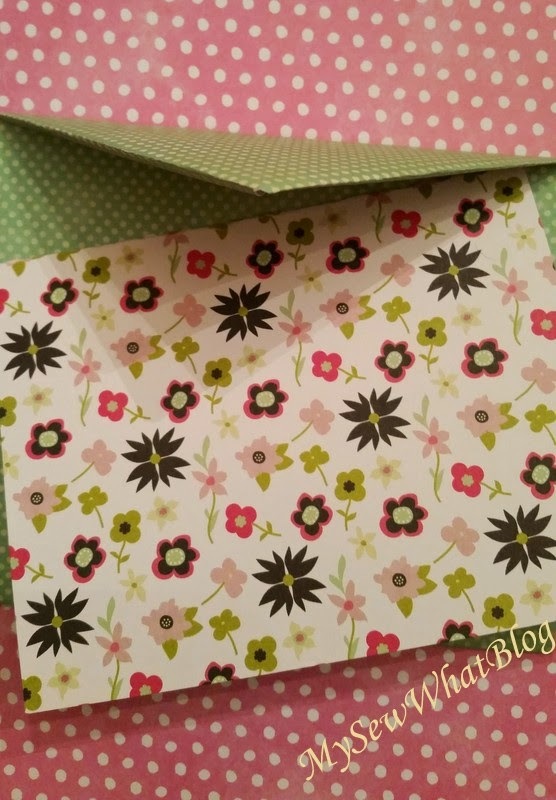 On this envelope I glued a flower that I cut out from the notecard paper. ...and you have the sweetest set of notecards to give or to keep! You can be as creative as you want, adding additional lace, trim etc. to the notecards. 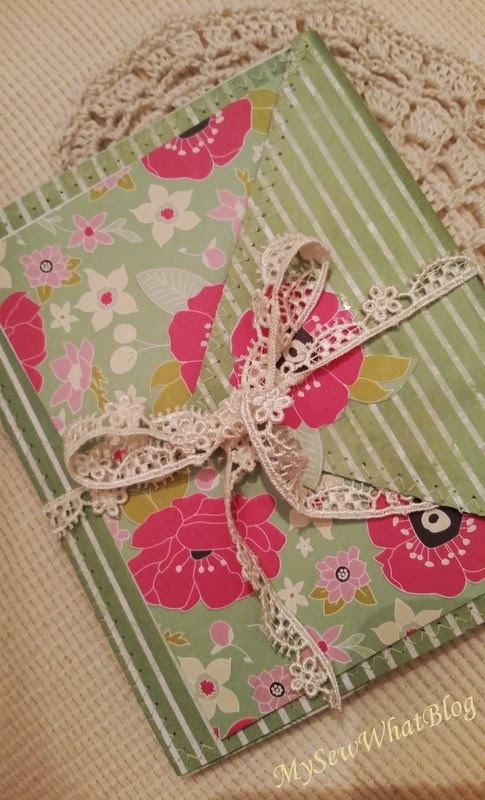 I have even added fabric cut outs stitched to the front of the notecard and I have stitched all around the sides of the notecard. If you plan to mail them you'll want to keep the weight in mind. It's not fun to receive a note with postage due! This is a fun project to do with the kids too. Add some fun trims, paper cut outs, glitter... and they will be all over it! "Make something cool everyday even if it is something small."